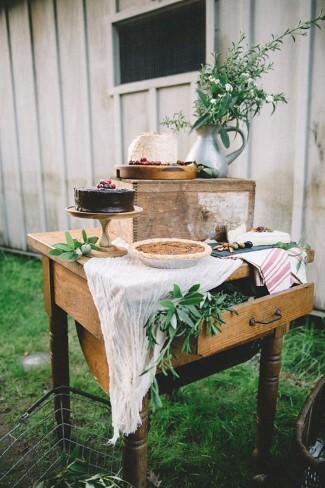 We love receiving inspirational outdoor styled shoots with charm, personality, and rustic goodness. 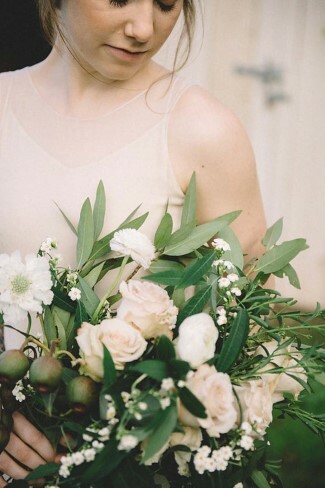 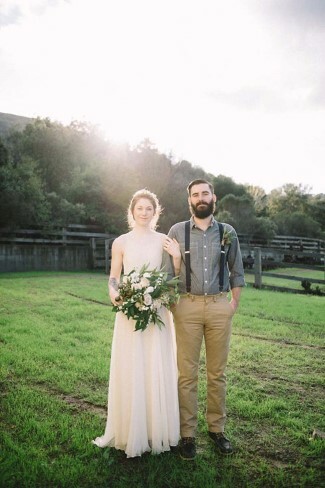 And today’s featured farm elopement at Bernal Gulanc Joice Ranch is simply divine. 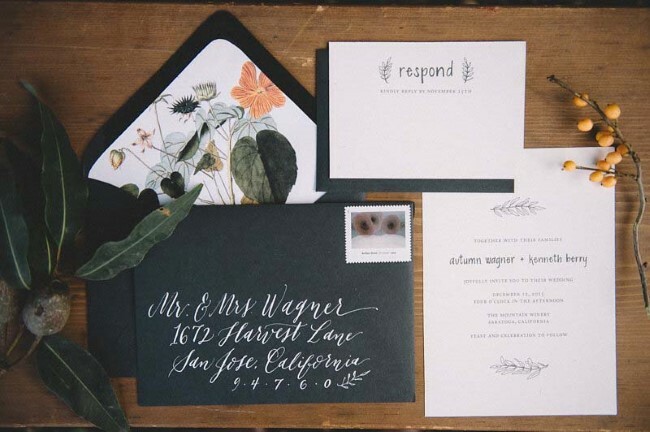 Located outside of San Jose, California, the ranch and surrounding 20-acre property are what remains of a nearly 10,000-acre parcel granted by the Mexican Government in 1834 to a man by the name of Jose Joaquin Bernal. 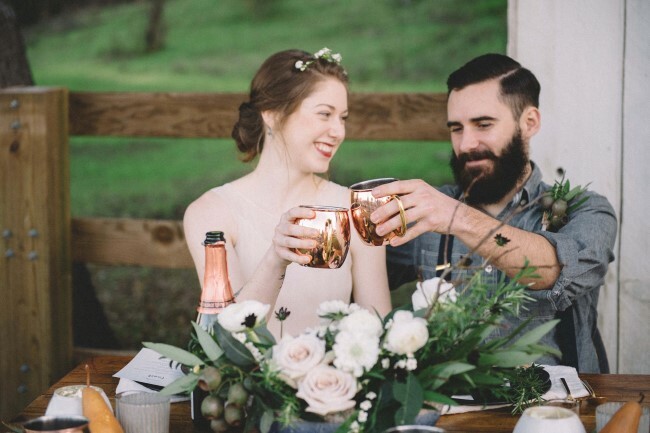 The Bernal-Gulnac-Joice Ranch has been continuously owned and worked by Bernal descendants as a family-operated ranch until 1980. 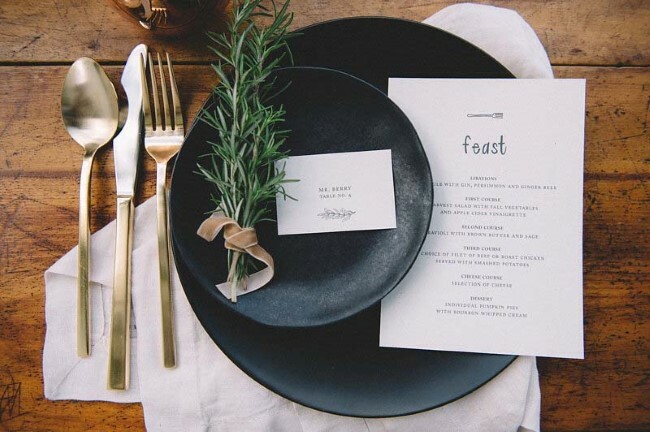 A fall foliage theme pervades the natural elements present throughout the styled shoot. 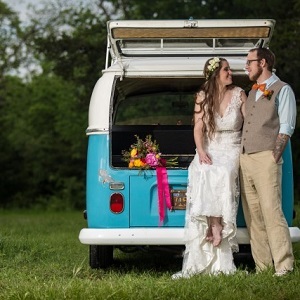 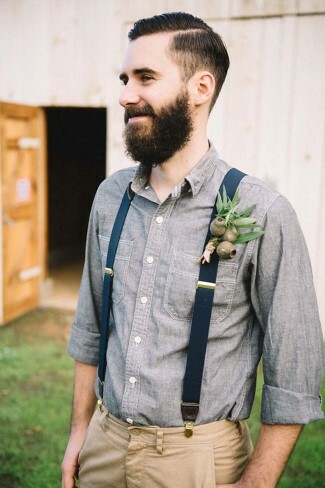 A rugged groom sporting a beard and wearing suspenders, a beautiful bride in a light boho chic dress, and a one of a kind bouquet all come together to form a special day. 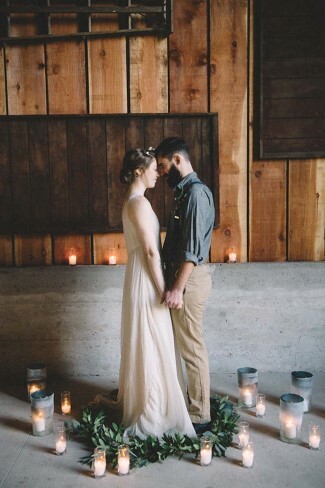 We love the focus on minimal decor and utilizing raw wood panels accentuated against the cold gray concrete floor. 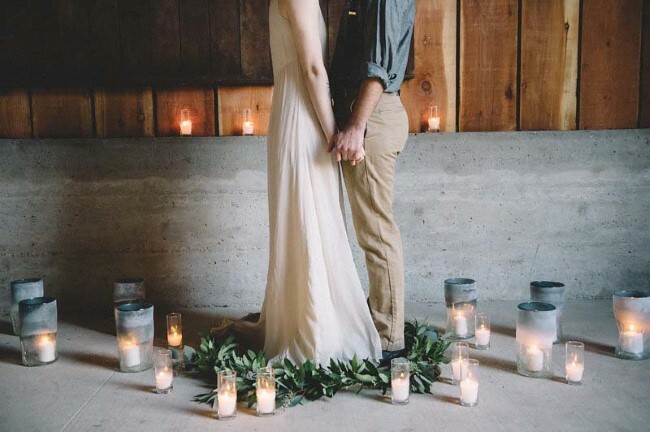 Candles and a leaf wreath provide a focal point that evokes a mythical woodland quality. 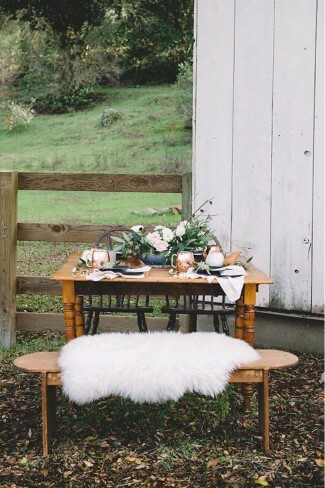 For colder wedding seasons, warm and fuzzy fur seating is a must! 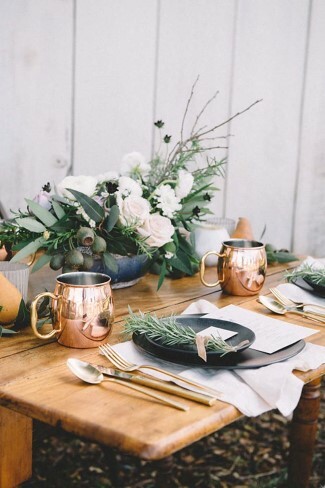 What a wonderful choice of black earthen plates, sparkling cutlery, shiny copper cups, all set upon a natural wood table. 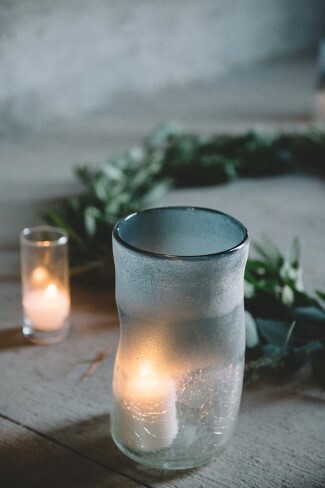 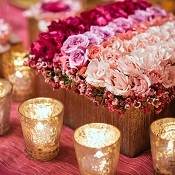 The arrangement would make for a visual pleasing experience for a wedding or other outdoor rustic party affair. 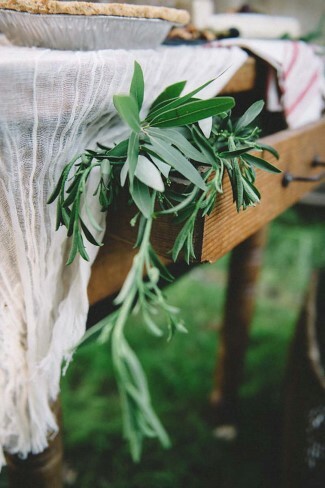 These are a few of our favorite things!! 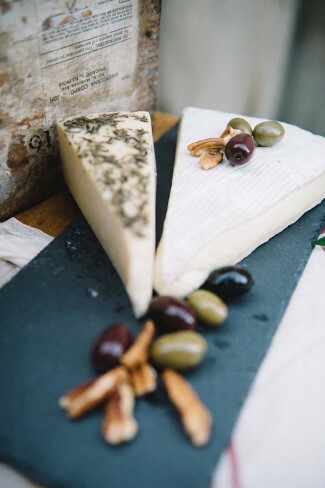 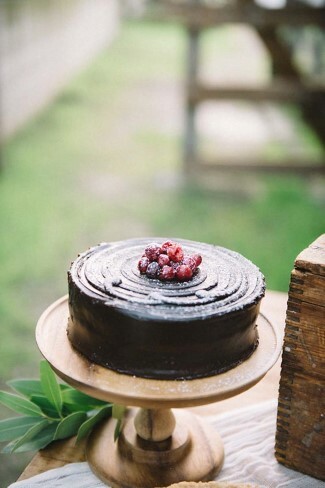 We simply love cheeses, olives, and chocolate cake. 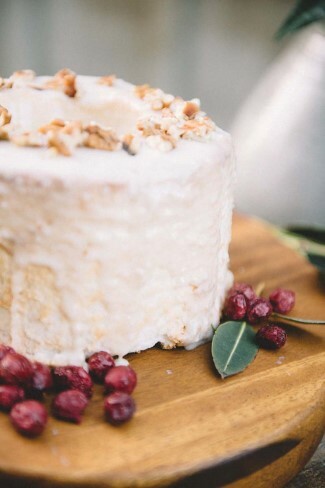 Brides: If you have decided to draw inspiration from this post — and are thinking of sharing some of the same food as below — think about adding two more to your guest list and invite Love & Lavender as well!